So you’ve finally gotten your braces removed (or you’ve completed wearing your last set of aligners) and you probably couldn’t be any more excited. Your teeth are looking beautiful and you’re just thrilled that you don’t have to wear your orthodontics anymore. Not so fast though – while it’s true that your teeth may now look wonderful, the entire orthodontic process isn’t quite finished yet. There’s actually still one step to go – the retention phase. 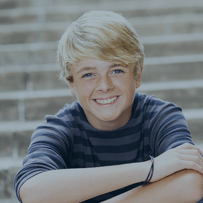 As your trusted providers of braces and Invisalign in Frisco, Little Elm, and Prosper, we at Corbridge Orthodontics would like to explain more about this vital orthodontic stage. After your orthodontic treatment has been finished, we’ll then fit you with a retainer to continue where the braces (or Invisalign) left off. While the goal of braces is to move your teeth into a better alignment, the point of a retainer is to keep them in that alignment. Teeth are susceptible to shifting around right after they’ve been moved via orthodontic treatment. That’s why a retainer is necessary to hold your teeth in their new, favorable positions. 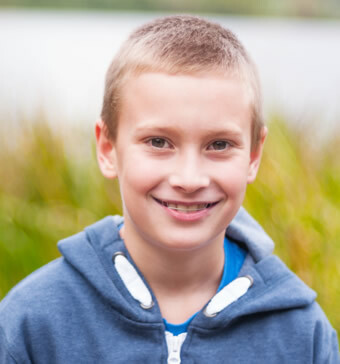 Our retainers are custom-molded to fit the mouths of our patients and they’ll help maintain these wonderful orthodontic results for a minimum of 24 months. These retainers are removable and can be taken out any time you desire, much like our Frisco Invisalign treatment. However, most patients will wear their retainers all of the time during the beginning of the retention phase before gradually reducing the usage to nighttime-only. Your orthodontist in Frisco, Texas will go over the best customized retention schedule to make sure that your treatment is a complete success. Please remember that your final orthodontic result depends on proper retainer usage. Don’t let all the hard work that you put in during the orthodontic treatment go to waste because you didn’t wear your retainer enough! A friendly and welcoming staff. A comfortable and safe office atmosphere. The latest in cutting-edge orthodontic technology. A commitment to understanding the needs of all our patients. We genuinely care about all of our patients and want you to feel like part of our family. No matter what brings you here, we promise you a wonderful orthodontic experience! Contact Your Frisco, Little Elm, and Prosper Orthodontist Today! If you have any further questions, please don’t hesitate to contact us and let us know. We at Corbridge Orthodontics are always glad to help you in any way that we can! If you’re interested in scheduling an appointment for our Frisco, Little Elm, and Prosper Invisalign or braces, feel free to give us a call at (214) 705-6188. We’re looking forward to hearing from you!